This summer the first patients will be enrolled in a clinical trial using a form of genetic scissors to alter the DNA in their stem cells to give their immune systems a desired trait—resistance to HIV. The procedure will alter the patients’ blood-forming stem cells so that they can permanently make immune system T cells that HIV cannot infect. For the lead researcher on the team at City of Hope in Duarte, California, this trial caps some 25 years of effort to use genetic manipulation to halt the insidious virus. first techniques were not very efficient in making the needed genetic alterations. Then the death of a test patient in a trial for another disease put the entire field on hold for many years. But the logic of making people genetically resistant to HIV was so compelling Zaia periodically tried new techniques and has reason to believe he is working with one now that can get the job done. The molecular scissors, technically called zinc finger nucleases, can very precisely splice open a persons DNA and inactivate specific genes. For patients with HIV they target the gene for CCR5, which is a protein on the surface of T cells that HIV needs to use like a lock and key to get into the cells. If it cannot get in, it cannot infect. The scissor has been developed by a company in Richmond, California, Sangamo Biosciences, and researchers working with the company have already reported results showing the process works in adult T cells. Zaia’s team hopes to take those positive results to the next level by altering the blood-forming stem cells, which should be able to supply a much larger and permanent supply of HIV-resistant T cells. With the great success of antiretroviral therapy, many question the need for intervention at this level. Not HIV advocate Mathew Sharp. 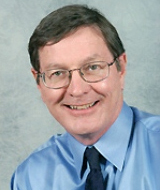 Read about his journey with HIV and why he became a subject of that early zinc finger trial in adult T cells, saw improvement and holds out hope for even better therapies in the future. Zaia’s trial is one of four CIRM-funded projects in or near clinical trials that seek to use genetic manipulation to give a person’s immune cells a desired trait. Two seek to confer resistance to HIV and two seek to make the cells better at fighting cancer. All patients will be treated at the CIRM Alpha Stem Cell Clinic at City of Hope (link) and will require a 28-day stay at or near the clinic. Zaia expects to complete the 12-patient enrollment in about a year and he hopes that in the following months he will be able to report that the genetic manipulation worked and a significant portion of the blood forming stem cells have the altered gene and can pass it on to the T cells they make. Even though this will be a huge milestone, providing proof in principal that the therapy may work, he is already thinking about ways to make the process more efficient and less time consuming. The current process would be difficult to rollout to large-scale therapy. But he says “it is doable” to make an approach that could be widely available. 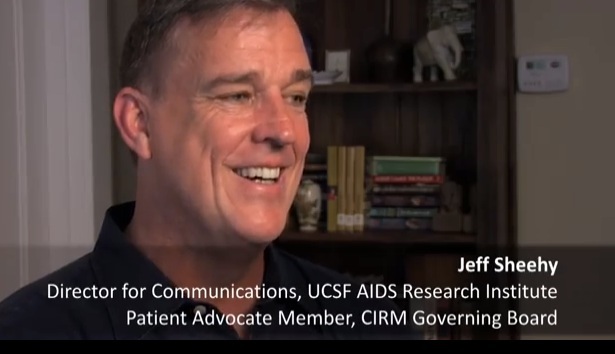 In this video HIV advocate and CIRM board member Jeff Sheehy looked forward to the launch of this trial when CIRM began the preclinical part of the project five years ago. CIRM recently funded Paula Cannon at the University of Southern California—who worked with Zaia in the lead-up to this first trial—to develop a next generation of the gene editing process. She hopes to find a way to use the molecular scissors directly in patients rather than having to harvest their stem cells from their bone marrow, alter them in the lab and then infuse them back into the patient. Each of those steps causes inefficiency and the loss of cells and Zaia hopes that the possibility of doing the genetic manipulation directly in patients might be the ultimate way to go.